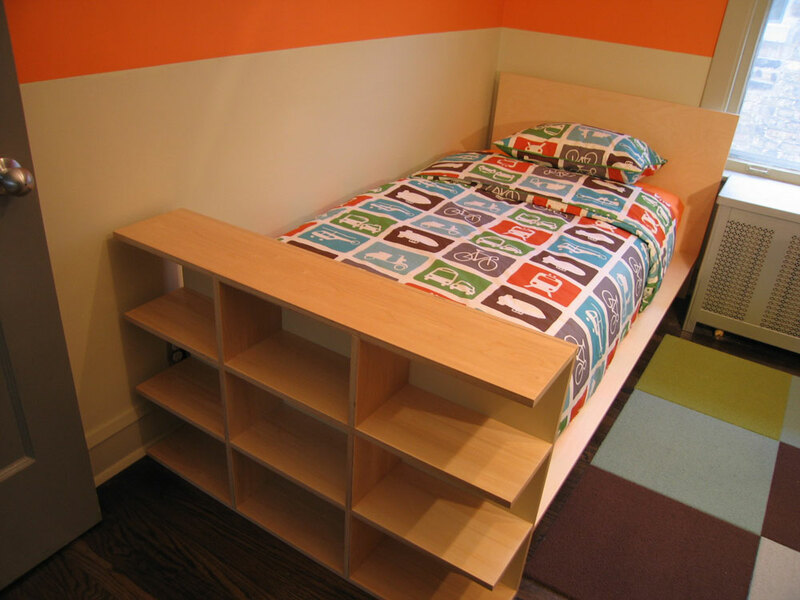 This piece was designed as part of a suite of furniture for a child’s bedroom. The bed features a headboard, side ledge and attached display shelf at the foot. The entire piece is made of clear coat birch plywood with exposed edges.